The one-time favorite to land the Vols’ offensive coordinator position is set to take a head coaching job. 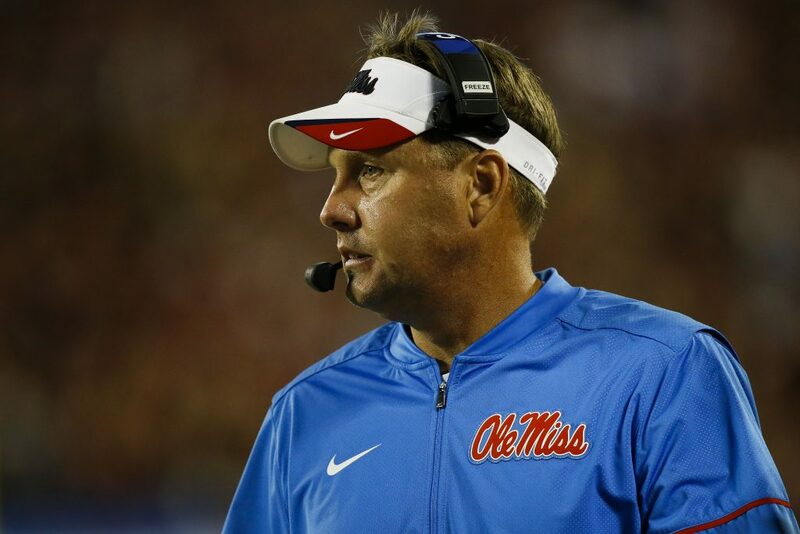 Former Ole Miss head coach Hugh Freeze has reportedly accepted the head coaching job at Liberty University. Freeze had reportedly been in play for Tennessee’s offensive coordinator position and appeared to be the favorite for a while, but nothing official was ever announced on UT’s interest in Freeze, and he was never brought on staff. Freeze had his first public talk at Liberty after his resignation from Ole Miss due to multiple NCAA investigations, the last of which involved him using a university-issued phone to contact female escorts. Liberty head coach Turner Gill stepped down and retired from his role earlier this week, and speculation about Freeze being offered the head coaching job there immediately began. Now it looks as though Freeze will officially be their next head football coach. The speculation about Freeze had been dead for a couple days around Tennessee, but now his name is officially off the table for good. The Vols have reportedly turned their attention to Houston offensive coordinator Kendal Briles among others as their top candidates for the OC position. We may never truly know what happened with Tennessee and Hugh Freeze, but the good news for the Vols is that he won’t be working at another SEC school next season.